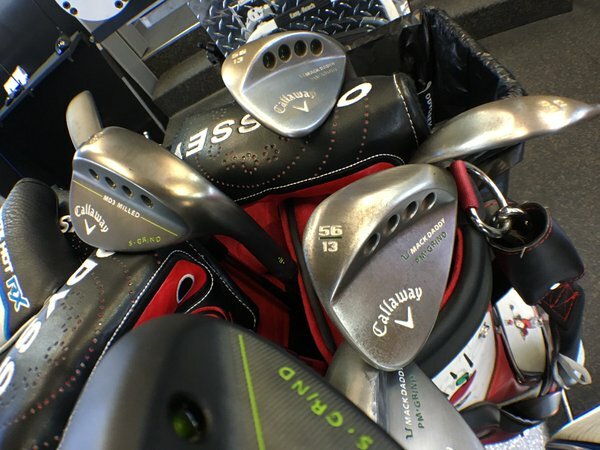 Wedges are an important addition to your golf bag. They help you with short distance "lob" shots and getting your ball out of the rough. Most players obsess over finding the perfect driver. They want to maximize their distance off the tee. But they don't spend a lot of effort looking at wedges. Did you know most golfers hit 70% of their shots inside of 100 yards? This means finding the perfect driver should be less of a priority than finding the perfect wedge. Selecting the right wedge can be difficult so we've got some pointers for you. Here's how to find a wedge with the correct design, bounce, loft, and color that fits your game. First, figure out how many wedges you'll need. 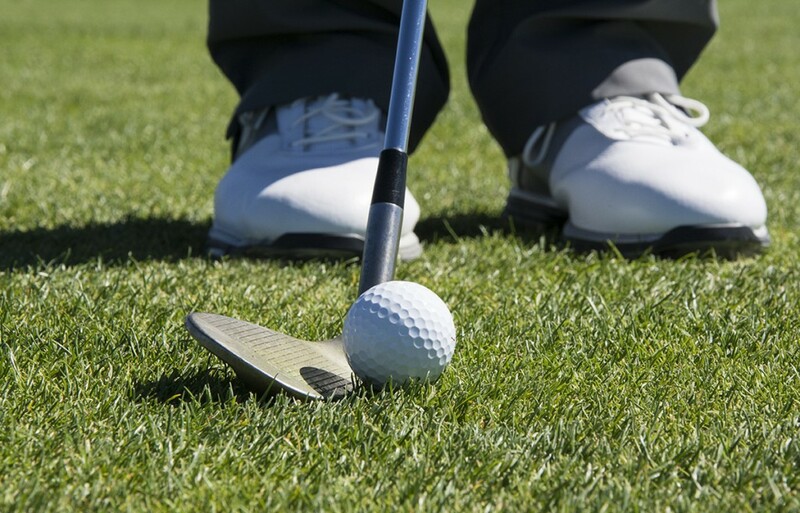 Beginners or players with a handicap of a 25 or above should have a pitching wedge and a sand wedge. If your handicap is higher than a 10 and lower than a 25, you'll need a pitching wedge, sand wedge, and lob wedge. If you are below a 10 handicap, then you'll need a pitching wedge, gap wedge, sand wedge, and lob wedge. 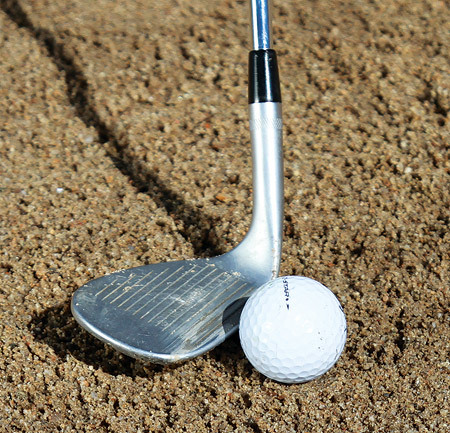 This sand wedge is designed to hit ball out of bunkers, also known as sand traps. The next step is to decide on the look you want for your club head. Some wedges are round at the bottom of the head. Others are squarer like your irons. The best way to decide on the right shape is to look at the two heads side by side. One will likely look better than the other when you're over the ball. Another factor to consider is the club's bounce which can go from as low as 2 to as high as 16. Consider the bounce that works best with your playing style and the types of courses you play. If you play on golf courses with firm sand in the bunkers, then you should choose a wedge with a lower bounce from 2 to 8. If your typical course has soft bunkers, then a higher wedge bounce of 12 or 16 will be preferable. Maybe you aren’t sure what type of sand you play on. Or maybe you play on courses with different types of sand. If this is the case, you should to go with an intermediate bounce of 8 to 12. A lob wedge has the most loft out of all the wedges and helps you hit balls over bunkers. Choose a color for your club head. There are two main categories. Consider chrome and black club heads. These have slightly harder faces and will make a “clack” sound when they’re hit. You should also look at oil can or gunmetal. These have slightly softer faces. Remember that the USGA allows a maximum of 14 golf clubs in your bag. You should know exactly what you need in a wedge to avoid carrying unnecessary clubs. To make it even easier to choose a wedge, GlobalGolf offers Custom Wedges. This feature allows you to select the exact type, loft, lie, shaft, and grip you need. You won't have to waste time searching for your specifications. Not only will you optimize your club, but you'll also maximize your short game.